They're elegant. They're colourful. They're utterly divine. 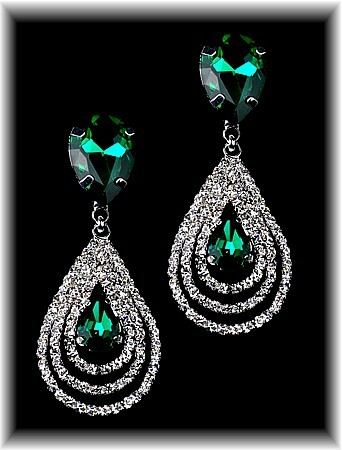 High quality emerald green teardrops, cut to perfection to reflect maximum light, with three strands of tiny crystal clear rhinestones echoing the shape. Size: 5.8cm x 2.5cm.